Ureteral injuries are a source of morbidity, and delays in diagnosis can increase the risk for long-term sequelae. Our aim was to quantify and describe iatrogenic ureteral injuries in a rural tertiary care center. Our secondary goal was to evaluate the impact of delayed diagnosis of ureteral injury on patient outcomes and whether cystoscopy had any influence on these outcomes. A retrospective chart review was undertaken for ureteral injuries, identified by the ICD-9 code from 1997 to 2017 at West Virginia University (WVU) Hospital. Injuries were categorized by procedure, surgeon specialty, location (WVU versus community hospital), and intraoperative cystoscopy. A delay in diagnosis was defined as a ureteral injury sustained during surgery not diagnosed intraoperatively. Forty-six patients were identified with iatrogenic ureteral injury at WVU. Twenty-seven occurred during gynecologic procedures (59%). Fourteen ureteral injuries were sustained at community hospitals and transferred to WVU for evaluation and treatment. Fifty percent of those had a known delay in diagnosis. The average delay in diagnosis for transferred patients was 6.5 days vs. 3.6 days for patients with ureteral injury sustained at WVU. Cystoscopy was only utilized in 37% (10/27) of gynecologic cases involving a ureteral injury. When cystoscopy was utilized, it was 80% (8/10) effective in helping to identify ureteral injury. Within a rural population, approximately half of patients with ureteral injuries were transferred to a tertiary care center for evaluation and treatment. Transferred patients were more likely to have a delay to diagnosis than patients who had injuries sustained at WVU. The delayed diagnosis patients had comparatively worse outcomes. Gynecologic surgeons working in rural hospitals should be adequately trained to perform diagnostic cystoscopy. This manuscript is an original work and has not been previously published or under consideration for publication elsewhere. Summerton DJ, Djakovic N, Kitrey ND et al. Guidelines on urological trauma. 2015. 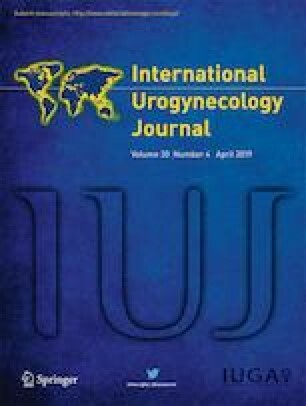 Available at: http://uroweb.org/guideline/urological-trauma/. Accessed Sept 2016. Current active Critical Access Hospitals Available AT: http://www.hca.wvu.gov. Last accessed in 2018. Nieboer T, Johnson N, Lethaby A, Tavender E, Garry R, Van Voorst S, Mol B, Kluivers K. Surgicalapproach to hysterectomy for benign gynaecological disease. Cochrane Database Syst Rev. 2009;(3):CD003677. https://doi.org/10.1002/14651858.CD003677.pub4.